The Boston Cooking-School Cookbook, by Fannie Merritt Farmer, can be found in its entirety here. The first recipe, found on page 482 (see previous post for photo of page 482) is very straightforward and simple. Add water to molasses. Mix and sift dry ingredients, combine mixtures, add butter, and beat vigorously. Pour into a buttered shallow pan, and bake twenty-five minutes in a moderate oven. *Chicken fat tried out and clarified furnishes an excellent shortening, and my be used in place of butter. 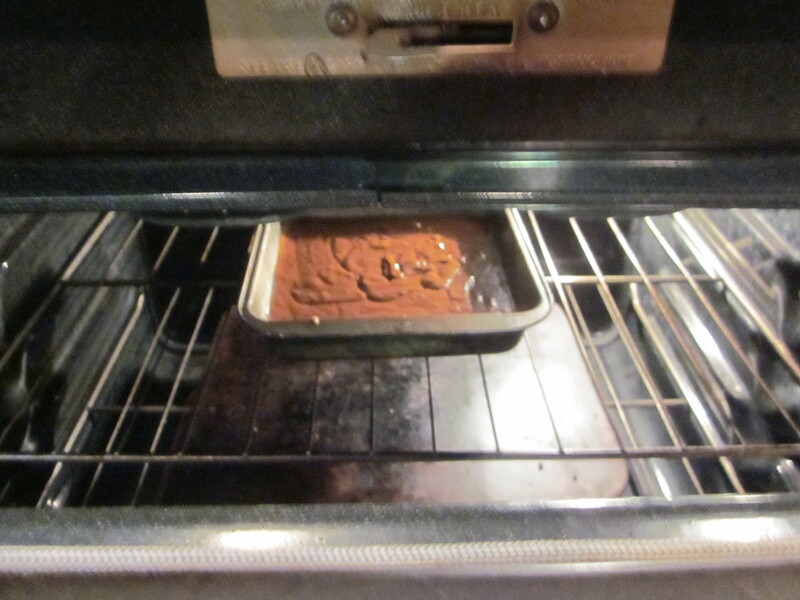 Notes on the process: Baking time for me in a regular electric oven was 35 minutes, not 25 as directed. I was brought up using 350F as a moderate oven temperature. I used Crisco to grease a 9”x9” pan. *Trying out chicken fat was a measure suggested to conserve other fats, such as butter, for the War Effort, according to my research. Notes on the product: It is most lovely, rich and dark with plenty of plenty of spice. The crust is almost crisp, with a moist, soft crumb in the center. This entry was posted in books, inspirations, reading and tagged antiques, books, gingerbread, history, inspiraton, writing. Bookmark the permalink. 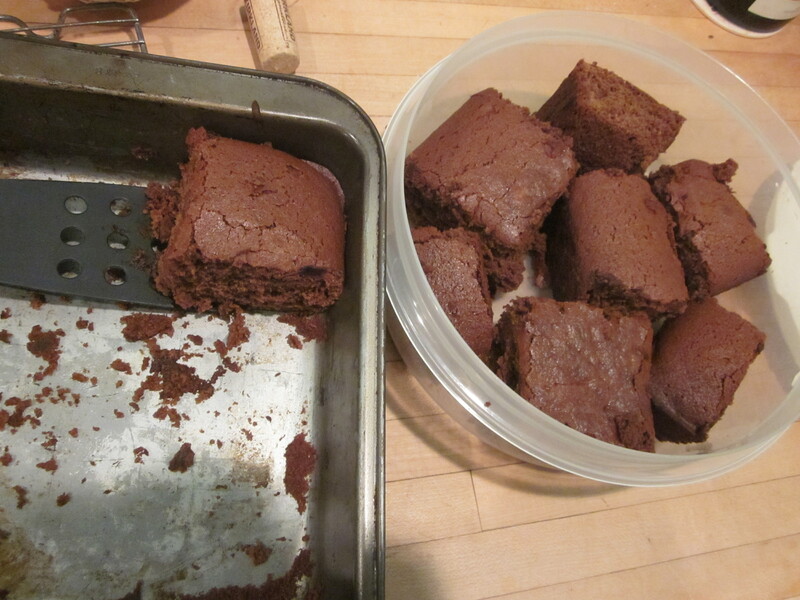 I began some gingerbread experiments two Decembers ago, in the interest of research for the book. They were good, and it was fun. I never got through all eleven recipes in the Fannie Farmer Cookbook because they got noticeably less gingery, dark and fragrant. I do believe that the first of the five was my favorite in the end, but a new set of experiments surely wouldn’t hurt anything, would it? Enjoy! The introductory post with the lovely history included was the prior week, but let’s get right to the recipes, shall we? I’ll get back to the history when I’m done eating gingerbread. Who knew that goose fat was the taste of victory?? Thanks for sharing that story.